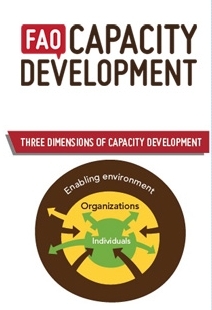 Capacity building is at the heart of FAO's mandate. This Portal contributes to achieving FAO's vision to strengthen the national capacities of its member states to achieve their goals in food security and agricultural development. This site offers practical and up-to-date information and resources in this area, focusing on rural development. This Portal provides a gateway to sound information on research, technology, extension and their linkages in order to enable decision-makers, research institutes, extension services and regulatory bodies, to make informed decisions. This Portal on the Implementation of the Right to Food aims at improving access to information, knowledge and training materials about the implementation of the right to food in order to enhance the adoption of the Voluntary Guidelines, thus contributing to food security and poverty alleviation. FAO with a number of partners is developing resources, activities and the mechanisms to enhance awareness, access to information and participation of children and young people in a range of environmental, social and sustainable development issues, including climate change. Discover how water can be used in cities and re-used in agriculture with benefits for all! The NFP Facilty, since 2002, has supported the stakeholders involvement in the forest policy process. In particular, the NFP Facility has delivered grants to the civil society for their participation in the formulation process through studies, providing a solid local level input for policy decision makers at national level. In addition, the civil society and the Forest Agencies have been involved in the implementation of concrete activities of the nfp. To achieve the goal of improving the range of financial services that are available to rural populations, the FAO Rural Finance Group has long recognised the need for training and human resource development in financial institutions, government agencies and donor organisations. Please go to the Web page for further information.